The holidays are over and the kids are back at school. It has been a month long vacation for them and we certainly had lots of fun. Today being the 1st of July marks Hong Kong Special Administrative Region Establishment Day.It is a public holiday over there. 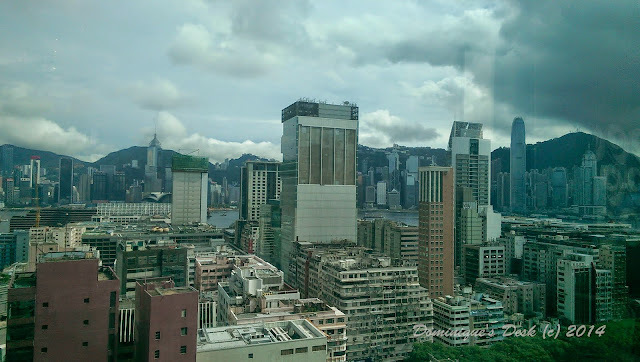 Hong Kong has changed quite a bit since we last visited the place in 2011. This time around the kids are older and it was certainly more fun as they could participate in more activities. 1. June was a time of many first for us. 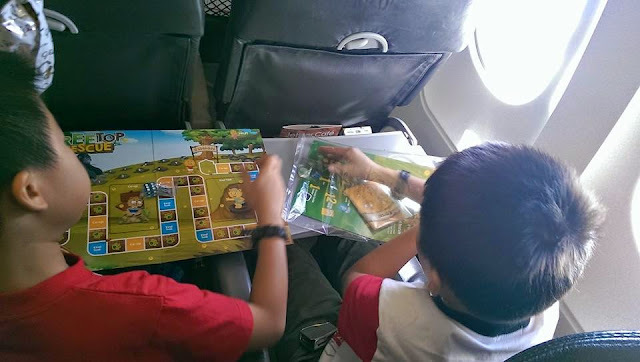 It was the first time that I flew solo with the kids as R was unable to depart on the same date as us. 2. We saw many lovely blooms like the one above when we visited Hong Kong Wetland Park. It was the 2nd time there for the kids and this time around they were more observant of the flora and fauna. 3. We brought the kids up to Guangzhou, China . 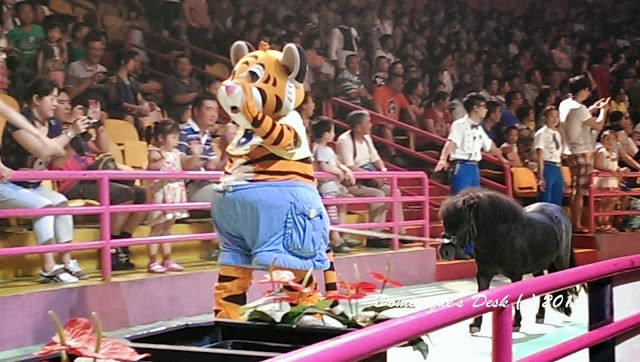 It was the first time that Tiger girl watched the circus performance at Chimelong . She was fascinated by the acrobatics and stunts done by the animals during the performance. 4) Being in Hong Kong it was certainly a MUST to go for Yum Cha at least once for breakfast. The Dim Sum was certainly heavenly and I really enjoyed myself eating these tasty dishes. 5) It was great to meet up with friends and relatives which we haven’t seen in a while. The kids also had great fun eating and socializing. 6) June was the month that I took part in the Biannual Blogathon. I took the chance to clean up the back end of this blog and also plan my schedule for July/ August. 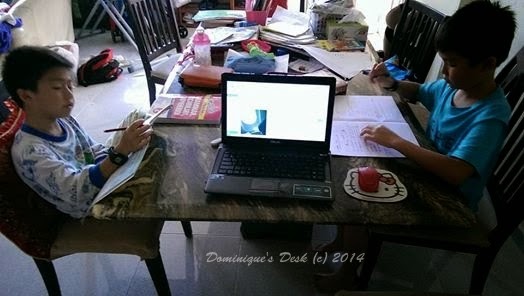 7) I also gave a sneak peek behind the scenes here at Dominique’s Desk. I shared how I come up with a blog post and the work that goes behind creating one. 8) Having Dad around is certainly good for the kids. I’m blessed to have a hands on partner who does take good care of me and the kids. Daddy does better is my tribute to my other half- R.
9) I completed my series on Parenting with Less Stress with an update on Doggie boy. 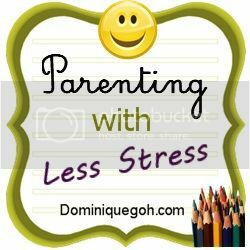 Parenting is an ongoing process and I hope that my short series had been helpful for my readers. 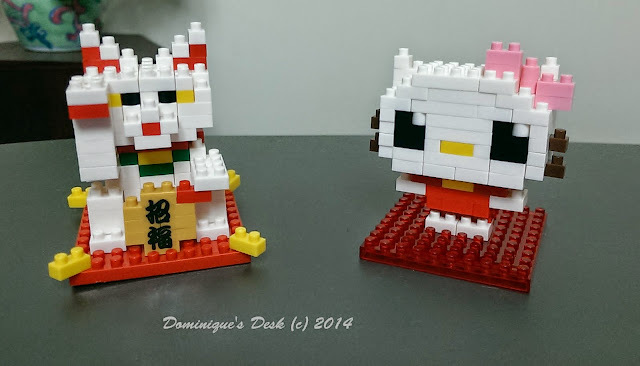 10) Nano blocks- the latest crazy to hit our household. The boys are crazy over these as compared to Lego and have been asking for new figurines to built. They are not that cheap to purchase so they will have to wait till the next holidays before they get any new ones. How was your June like?